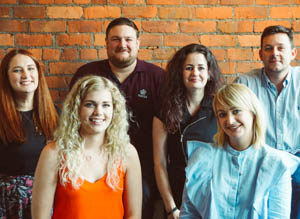 The team at Research Opinions are always asking you to tell them what you think about everything from what gadgets you own to a new advertising campaign, so we thought our team page would be a great opportunity to get to know them and hear some of their opinions on a range of topics. 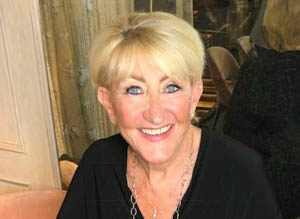 Julie established Julie Fuller Recruitment in 1987, which rebranded in 2010 to become Research Opinions. The success of Research Opinions encouraged her to open Aspect Viewing Facilities in 2002, and Acumen Fieldwork in 2005. The three businesses combine to provide a first class support service to the market research industry. 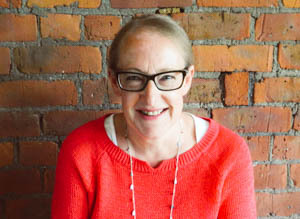 Julie is currently on the AQR Board where, with her knowledge of the industry, she is at the forefront of new market research initiatives. As Head of Research Opinions Vic is responsible for overseeing all of the market research projects we work on, while continually delivering high levels of service to our clients. Vic has been with Research Opinions for over 10 years and in that time she has worked on the projects covering almost every topic possible. From sausages, paint brands, new technology, finance research and the latest advertising campaigns from big brands – there’s nothing that Vic hasn’t done. Favourite projects to work on: Really big projects with complex quotas – speaking to lots of people to fit them in is really satisfying! Current obsessions: Home interiors. Finding new ideas on Instagram and Pinterest and adding it to my own style at home. Predictions for the next big thing: Artificial Intelligence is one area where we’re expecting to see big changes. It’s a new type of technology for a new era and it’s going to affect everything from how we shop to ways we are driven towards brands through advertising. Expect to hear more about AI in the coming months and years. Charlotte is the Senior Project Manager at Research Opinions, working on some of the trickiest projects we have. Her savvy use of social media has made her the in-house expert when it comes to finding hard to reach people for research. What you love about the job: Learning about so many different things. I never thought I would be able to hold down a conversation with a farmer about round bailers. This job stretches you in so many different ways. Predictions for the next big thing: More ethical products on the market and less plastic in the shops. In beauty, I think it will be about refillable products and less disposable single use items. What would make the world a better place? Free coffee – everywhere. Oh, and maybe free gin! I think that would definitely help. 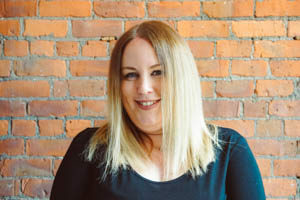 Stephanie is a Senior Project Coordinator at Research Opinions, forming an integral part of the team who speak to people every day – matching them to the right research projects. What you love about this job: I love the diversity of the people I speak to every day; talking to people from various cultural, social and faith backgrounds and learning more about their ways of life. The most rewarding project you worked on: It was research about benefits. After the project was completed someone emailed to say that taking part in the research had helped them to find the motivation to find full time work again. It was great to hear it had helped someone so positively. What’s the one thing you couldn’t live without: Books! I’m a huge fan of reading – especially Crime Fiction – and I try to read at least one a week. 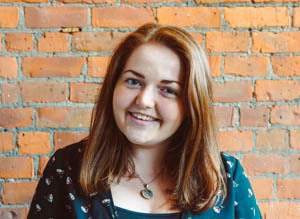 Emily works within the Research Opinions team as a Senior Project Coordinator and often works on our User Testing projects where we have to find people who own very specific devices or technology. What you love about this job: You get to speak to a wide range of people and build up a lot of knowledge about brands, products and the latest trends through the research we recruit. The most rewarding project you worked on: We had to find very specific people for a project on music trends. The client had so much positive feedback and learned so much. It was really rewarding to work on. What product could you not live without: It’s not expensive or flashy but I bought a spider catcher as I am terrified of them. That’s something I couldn’t live without! 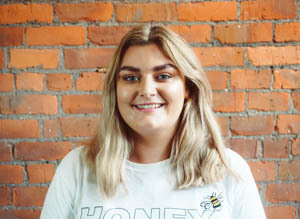 Emily works within the team as a Project Coordinator, handling the replies we get to our research projects and contacting people to recruit them. 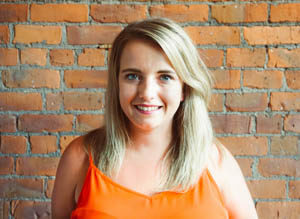 As an avid social media user she’s a master of online recruitment. Best thing about market research: Speaking to so many different people in one day and that huge sense of achievement when you’ve completed a project and you know it’s going to go well. Favourite types of projects: Anything to do with food because it’s something that everyone loves to talk about and something we can always find people for. Favourite product right now: The new Youtube app which allows you to lock your phone without the app pausing. I can’t believe it’s taken so long for this to become a thing! 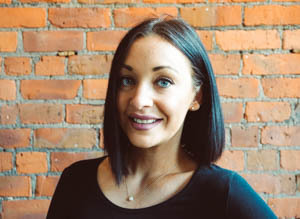 Hannah recently joined the team at Research Opinions and quickly established herself within her role as Project Coordinator. 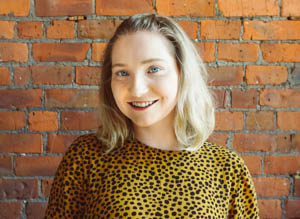 She’s taken her enthusiasm for speaking to people from all sorts of different backgrounds and applied it to research about current affairs and topical issues. The best part about working in market research: Learning about other people and the way they relate to things. Guilty pleasures: Love a soppy book that makes me cry. Always a sucker for a Nicholas Sparks film or novel. What would be the one thing that would make the world a better place: Less negativity – if everyone was nice all the time it’d be such a lovely place to live. And of course if it was sunny all the time, that would help too! 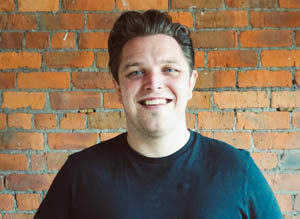 Niall joined Research Opinions in 2018 as a Project Coordinator and has developed a keen interest in research which examines political or social issues. He has a passion for any research that’s going to make a significant difference to society or the businesses conducting the research. Favourite type of research: In addition to anything which looks at politics or society as a whole I also love sports and I’m always keen to work on those studies to see what’s going to be the next big thing. Generally I like anything which looks into business marketing campaigns as I love to see how a great campaign works. What 3 things would you take to a desert island: Crisps, Football and Sneakers. Healthcare Opinions is our dedicated research platform for Healthcare professionals and people who are receiving treatment for a range of conditions. We regularly conduct research on topics ranging from COPD to Diabetes, end of life care and children’s allergies. We’re continually looking for doctors, nurses, healthcare managers and members of the public to take part in our research. We never conduct clinical trials and participants will only ever be asked to share their opinions and experiences. Due to the highly specific nature of the topics, our research frequently pays significantly higher incentives to those who take part.